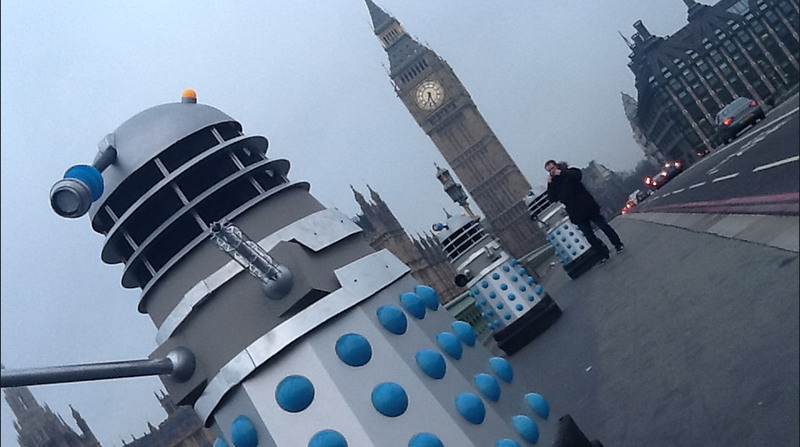 Doctor Who’s recreation of Dalek invasion of Earth for docudrama! BBC has posted some photos of the recreation of the Daleks in the original series of Doctor Who with the First Doctor (William Hartnell) for the docudrama An Adventure in Space and Time. The episode was from the second season and called Dalek Invasion of Earth. Executive producer and writer Mark Gatiss is shown in the photo holding the film clapper. The docudrama is for the 50th Anniversary of Doctor Who.